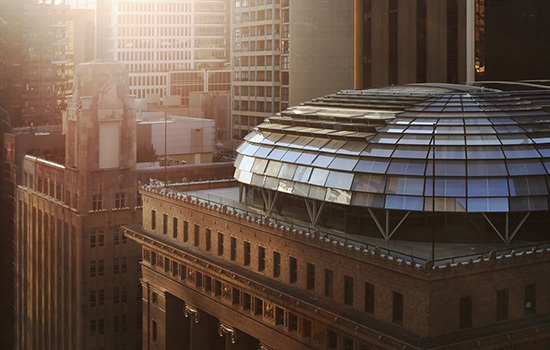 Sydney CBD office space continues to be highly sought after. Sydney is now the third most popular target globally for commercial property investors, as Australia rides a $28.8 billion boom over the last financial year. Investment activity across the retail, industrial and office sectors hit record highs during 2014/15, with investment up 19%, according to a Colliers International report. The Australian Investment Review shows offshore interest in Australian assets grew considerably, with Sydney now ranking behind only London and Manhattan for offshore investment, and ahead of Shanghai and Paris. Of the $28.8 billion invested through both offshore and domestic buyers, $15 billion was poured into the office market, up 7% on the previous year. The industrial market jumped an incredible 56% to $6.45 billion, while $7.541 billion in retail assets were sold – an increase of 26%. Colliers managing director of capital markets and investment services, John Marasco, says he expects interest and demand in Australian commercial property to remain on the up for some time. “Transaction volumes across the industry are up, as both offshore and domestic investors demonstrate a continuing strong appetite for Australian commercial property,” Marasco says. Marasco says he expects a looming influx of Chinese insurers to begin to have a pronounced impact on Australia’s commercial property market, particularly in the office sector. “Offshore capital looking for investment opportunities in Australia will continue, more broadly, to be the underlying driver of demand and yield compression in our major eastern seaboard markets,” Marasco says.